CPR is one of the most important techniques we happen to have in our lifesaving arsenal, but there are many who find themselves a bit hesitant to actually carry it out. There are some who simply do not have the confidence, but then there are those who wonder whether or not they will break the patient’s ribs by doing so. If you read internet forums you may come across several posts in which an individual attempted to perform CPR and actually broke a rib, leaving some to wonder whether or not that break caused a different outcome. The answer might actually surprise you. Are All Patients at Risk for Broken Bones? The first thing we want to say is that yes, breaking a rib is always disconcerting, but no, you don’t need to stop performing CPR if you feel a rib break. Yes, we are saying that it is perfectly normal though it does not happen under all circumstances. It has been found that there are a few circumstances under which a rib will actually break during the act of CPR, one of which depends upon the strength of the individual. Men, and laypeople in general tend to have more upper body strength and it is only a matter of course that they should cause a break while performing CPR. CPR is an action that involves repeated chest compressions, each compression being about five centimeters deep. Two inches is actually a considerable amount, and about 30% of patients will find themselves with a broken sternum or a fractured rib. In some cases, multiple ribs will be broken but once again this should be considered absolutely normal. 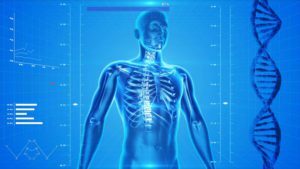 The thing that you should consider is the patient themselves as their physical health tends to weigh heavily on the results of the procedure. If you’re looking for a less vulnerable patient, you would look to the morbidly obese as CPR does not easily phase them, nor does it result in broken bones. The opposite is true in older or elderly patients, specifically those who are suffering from osteoporosis. Brittle bones obviously lend to the possibility of breaks during CPR, so keep that in mind before you start the procedure. What do you Do if you Hear a Break? So now we come to the million-dollar question: what do you do if you hear a bone break during CPR? The answer is simple: you keep going. Yes, your patient’s chest is going to hurt significantly when they wake up, but the one thing that matters? They’re alive. There are almost zero cases where a patient has significantly complained over CPR being performed on them, and they tend to understand what was at stake at the time. This is a lifesaving procedure that will continue to be useful in the future even as the guidelines are altered and new methods come into play. A little break every now and then should have no effect on your desire to save lives. The post Is it normal to break ribs during CPR? appeared first on ProCPR Blog.